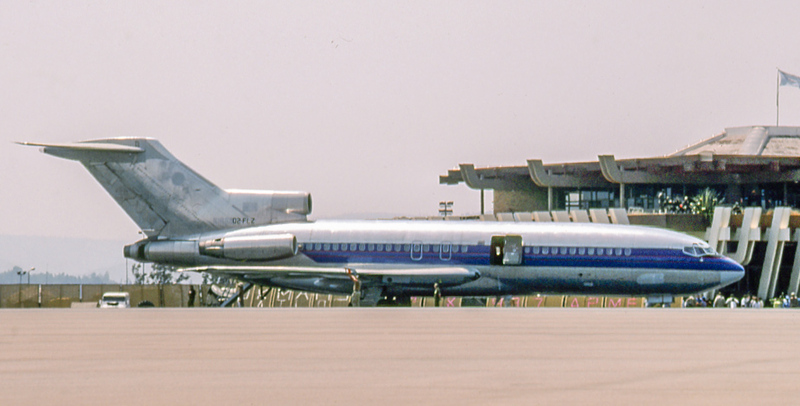 Angolan 727 D2-FLZ at Kigali, Rwanda on August 3, 1994. This 727-542 had begun in 1968 as N1965 of American Airlines, where it worked into 1993. It last was heard of as TN-AFZ with Trans Air Congo in the early 2000s. D2-FLZ worked for the nefarious South African/Angolan mercenary outfit Executive Outcomes, which specialized in brute force regime changes.